Past EventI am Bleeding All Over the Place: Are we in conflict? Past EventI am Bleeding All Over the Place: Show me. 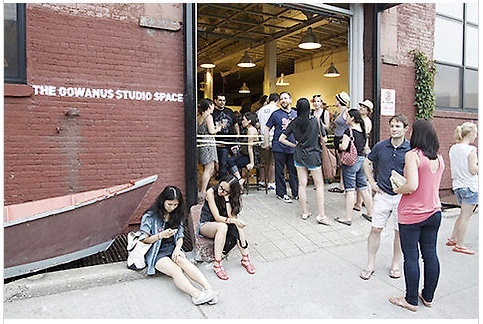 Join Lauren Cornell, Curator, 2015 Triennial, Digital Projects, & Museum as Hub, for a daylong program of visits to the studios of established and emerging artists and art spaces in Gowanus and Red Hook, two of several communities along Brooklyn’s waterfront that have drawn artists in search of space and inspiration. The Museum will provide transportation and lunch. Kindly RSVP by Friday May 2 to Clare Quinlan at cquinlan@newmuseum.org or 212.219.1222 ×270.